During our waking lives the main health focus is towards a balanced diet and regular exercise, yet quality sleep can impact both of these and is often overlooked. As we spend roughly a third of our life sleeping, it stands to reason that this area is given a proportionate amount of attention. Ensuring sleep is optimised to the greatest quality, is sure to play a positive role in your overall physical and mental health. Without good sleeping habits our waking lives can suffer and once this lack of sleep becomes a chronic condition, it can effect our weight, hormones, concentration, mojo and negatively affect any existing chronic illnesses. Investing time towards having the correct amount of quality sleep will benefit your mental and physical health plus your quality of life. Being alert and refreshed each day also impacts on your work productivity, social interactions and your general safety, in everything from driving to climbing a ladder. To achieve restful sleep, some preparation may be in order. This can be as simple as making sure that each day you spend some time outdoors in natural light. You could add to this some exercise in the morning or evening, before dinner. What you need will depend on your situation, as shift work, young children or that renovation taking place next door may require you to find alternatives to these suggestions. If you start to feel drowsy in the afternoon, a power nap of around fifteen minutes should get you through to the evening. Any more than this and you may find that it will reduce your body’s need to fall asleep later. What you consume in the evening will have a direct impact on your sleeping as well. For starters, being neither too hungry nor too full is best, and any meal should be eaten at least three hours before lights out. Drinking alcohol can initially make you feel drowsy but is damaging to the sleep cycle once you are asleep, resulting in a restless night. Caffine is to be avoided if you are after a deep sleep as it a shortens two crucial stages of your sleep pattern, REM sleep and the phase where dreaming occurs. Room lighting is also worth considering in the evening, as this study shows, since a brightly lit versus dimly lit room can have a significant impact on sleep. The same can be said for electronic devices that emit light such as phones, tablets and televisions and these should be avoided at least one to two hours before bedtime. So instead of pouring a wine or collapsing in front of the TV perhaps consider reading a good book or if you are really keen then meditation will help relax and because there are so many methods, you are sure to find soothing that fits your taste and requirements. These good habits can be turned into a routine that winds your body down from the day long before your head hits the pillow. Just as creatures feather their nest, the environment you go to sleep in is conductive to a good night’s rest. Depending on the time of year turn down the heater or put on the fan so that the room is between 15 to 20 degrees celsius, as this is the optimum temperature for most adults. Cover up any small lights from devices near the bed, including any clocks that you may be tempted to look at during the night. If the room is still not dark enough then a good quality sleeping mask may be in order. If you need to have your phone in the room, turn off the buzzing with notifications or new emails and have the ringtone as low as is practical. Noisy traffic outside or neighbours can be just as annoying so some soothing music on repeat can act as white noise to help drown it out. Dress in loose, comfortable clothing and during summer avoid wearing or sleeping under synthetic material. Finally the most important aspect is the bed itself. Investing in a quality mattress is a wise decision as you’ll be spending a third of the day there and poor posture whilst sleeping could set you up injuries after you wake. This ergonomic perspective can also be applied to your pillow and once again there are a wide variety of options available. Once you are in bed there are certain things to avoid. Electronic devices in particular harm our sleep cycles, so yes you may need to leave your phone in the next room. Depending on your situation, think carefully about sharing your bed with children or pets and instead invite them into the bedroom in the morning once you’ve had a good nights sleep. If you wake up during the night use a practiced relaxation method to return to sleep such as breathing or muscle relaxation techniques. After 20 or 30 minutes of staring at the ceiling, resist the urge to force yourself to sleep as it will be counter productive. Instead get up, move to another room, dim the lights and do something quietly boring. If counting sheep is not your thing, then try Tolstoy’s ‘War and Peace’ or something a little lighter such as ‘A Post-Glacial History of British Vegetation’. Also note that going once to the toilet during the night is fine, but any more than this will need to be investigated by your GP. There are better ways to starting the day than by jolting yourself awake with an incredibly loud alarm. If using your phone try an alarm clock app with some soothing music, or if using a regular alarm clock use the radio as the alarm and set to a classical music station. You could also try a wake-up light that slowly rises the light level or if dawn co-insides with your wake up time and you have blinds then leave them slightly ajar before going to bed. Once awake, if you are politely made aware by your partner that you were snoring during the night or appeared to stop breathing whilst sleeping, then once again please consult your doctor. Overall, proper planning and being aware of these factors should add up to a more structured sleeping arrangement. In addition to this it is important to go to sleep and wake up at the same time each day and best to keep any variation of these times with the space of an hour. Having a different sleep and wake time on the weekdays versus the weekends may give you the same experience as jet lag and as such should also be avoided. Regardless, more sleep before midnight is best, and this is especially good for when you are woken during the night and don’t have the opportunity to sleep in the next morning. If after all of this you are still experiencing difficulties getting to sleep, waking up tired or not sleeping, there could be any number of underlying medical issues, ranging from chronic insomnia to sleep apnoea. Self medication through either drugs or alcohol should be avoided and choosing to do so will make it harder for your GP to accurately diagnose and prescribe treatment. The best way to find the root cause is to consult a medical professional for advice and through them an appropriate treatment plan can be devised. 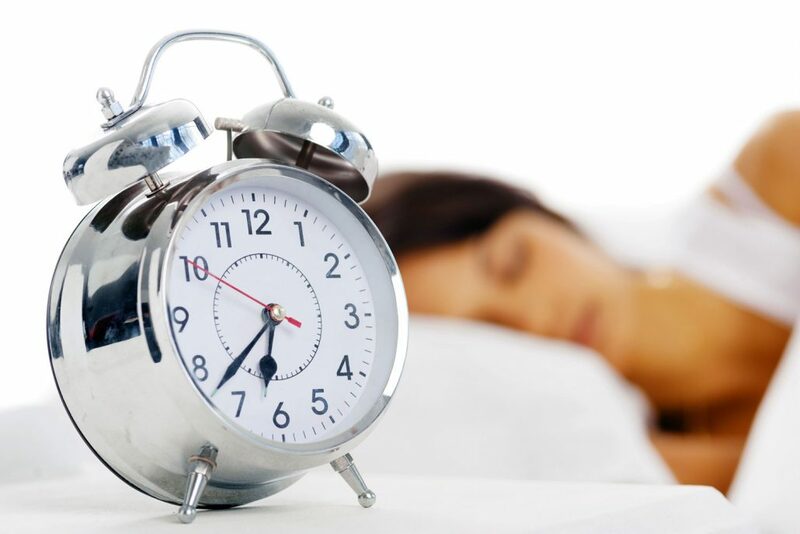 As part of treatment you may be required to submit to a sleep test to assist in the investigation of your condition, or be referred to a specialist. Regardless, our sleeping habits are built up over time. Changing them for the better will be a gradual process of finding what works for you and as long as you are having more nights of refreshing sleep than sleepless ones, you are on the way to a regime of restful bliss. With all this information, you may be able to put to use the old phrase ‘Early to bed, early rise, makes one healthy, wealthy and wise’.